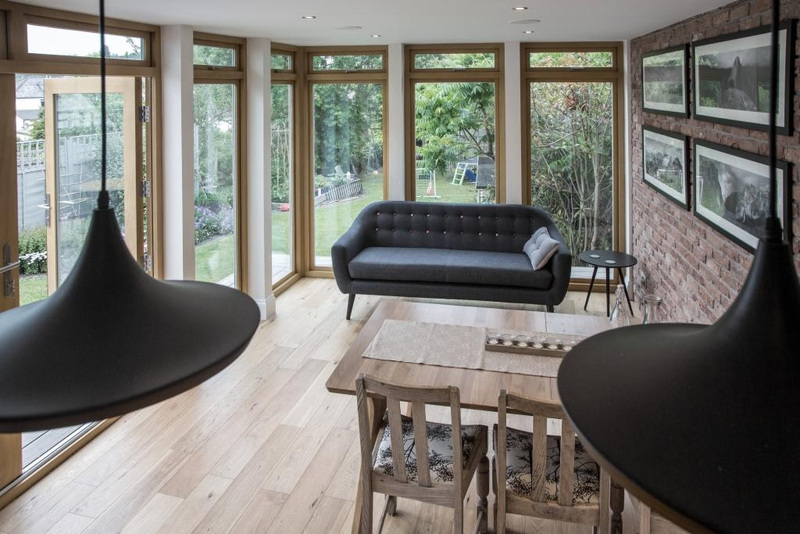 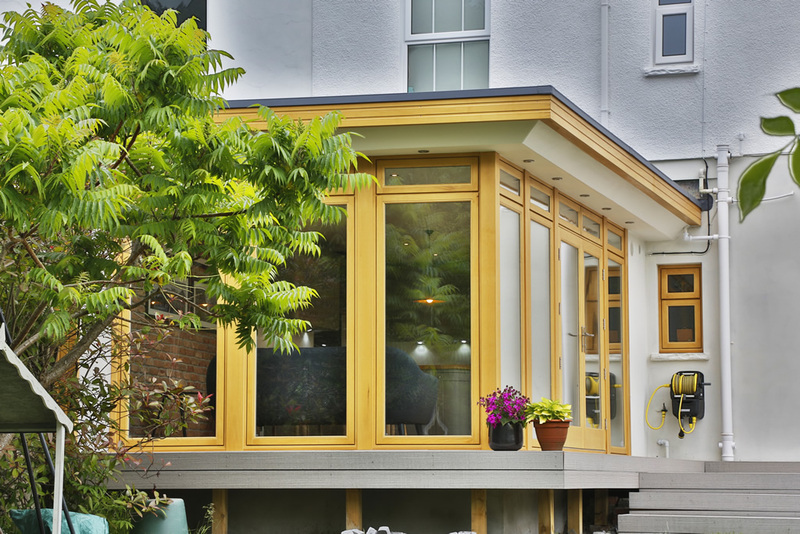 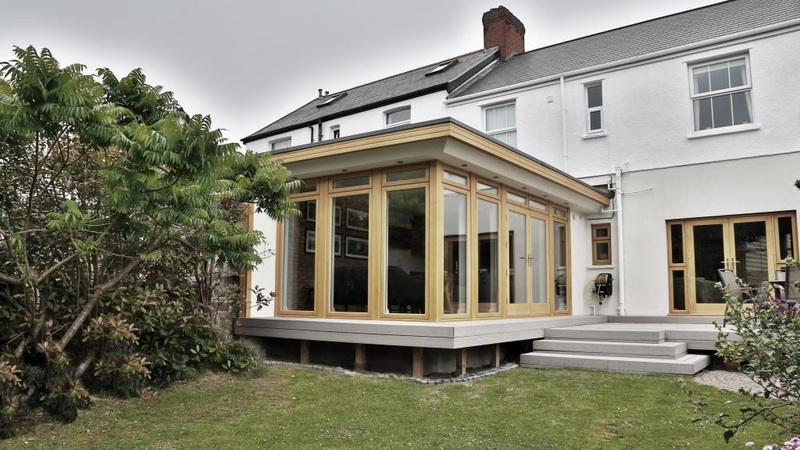 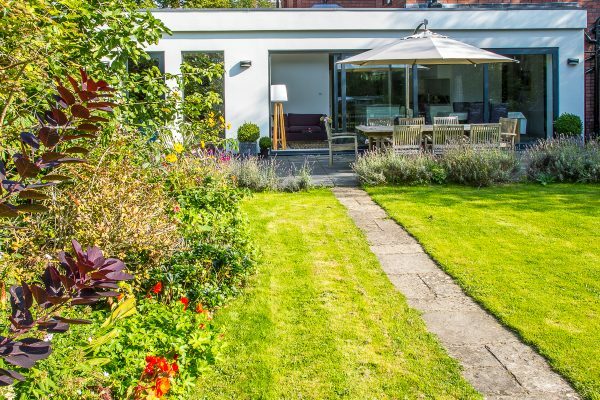 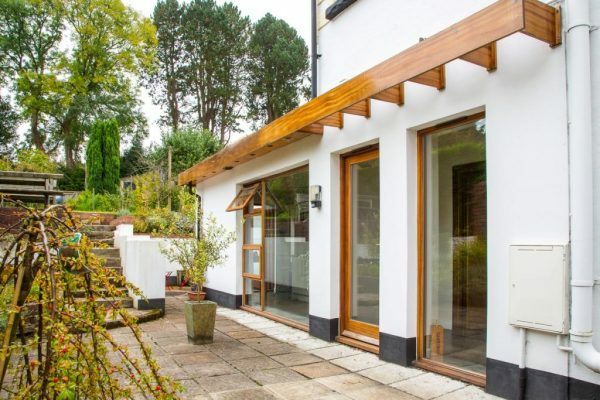 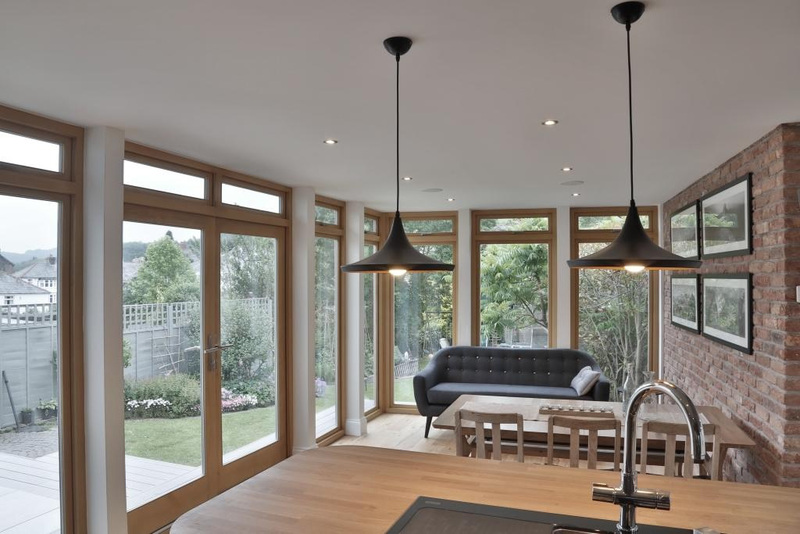 This sun-room extension is by far one of our favourite projects to date. 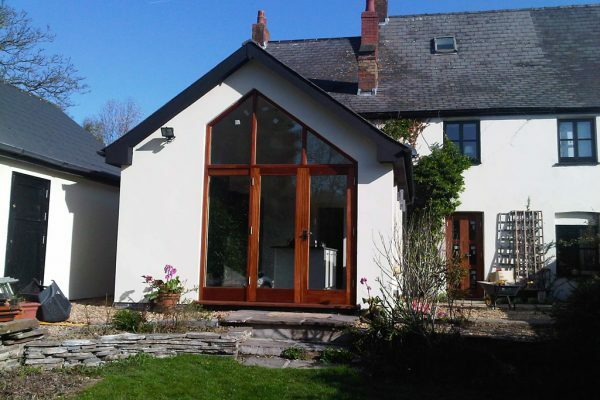 We were asked to replace a draughty old conservatory and at the same time create a new kitchen and family dining room. 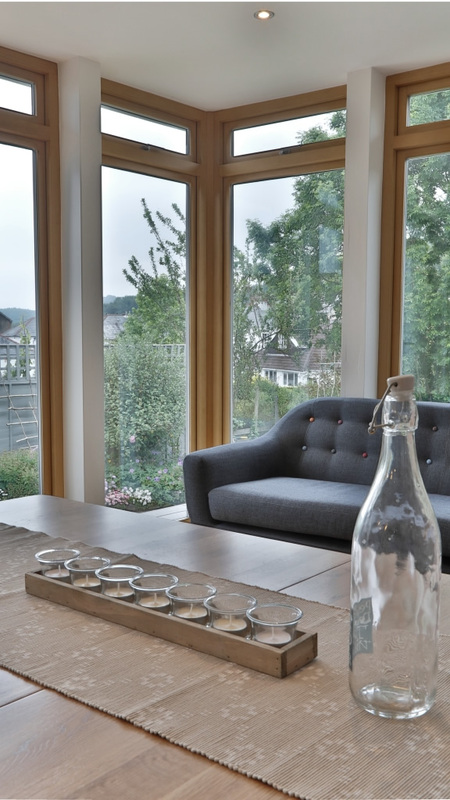 Our client also wanted to maintain the views over their garden and the hills beyond. 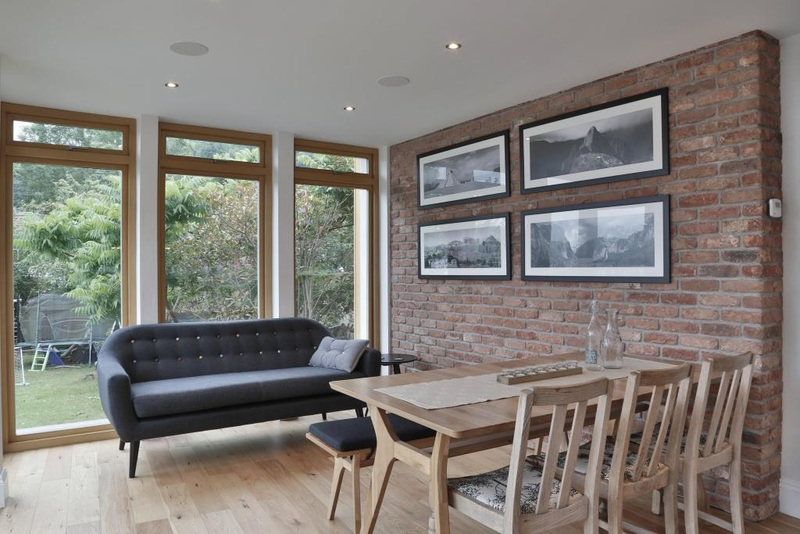 They also wanted it to be as sustainable as possible within the project budget. 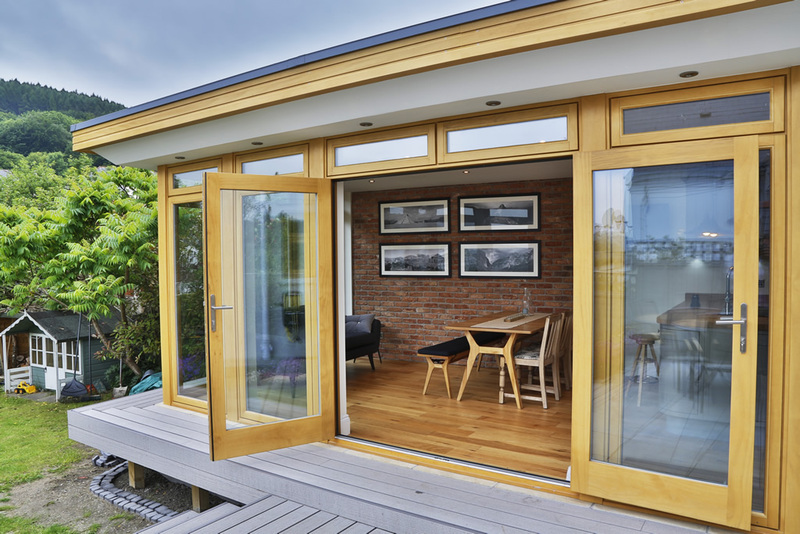 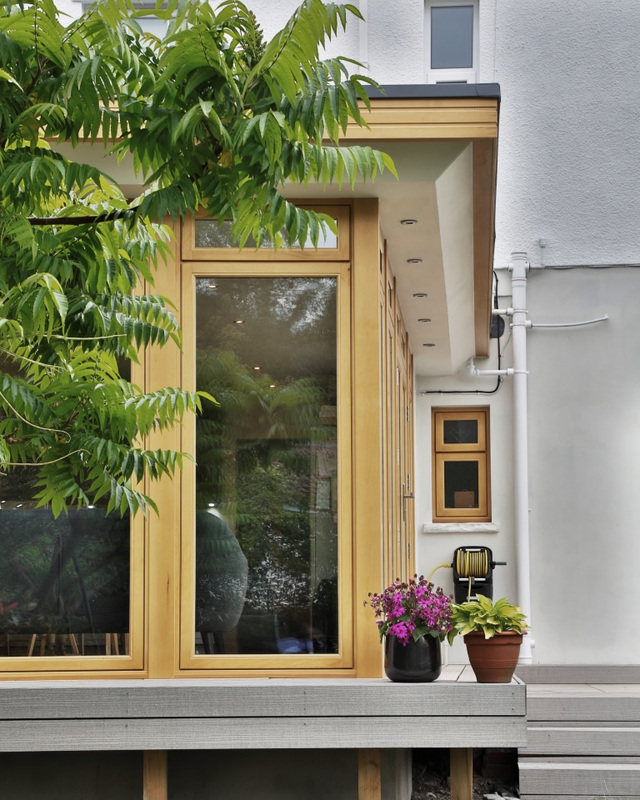 The result is a wholly timber structure, incorporating a highly insulated floor and roof, and energy efficient wooden windows which simply looks amazing.